NOTE: Pavestones are temporarily suspended during the construction of our new animal hospital. Pavestones will be available when we begin building our new memorial gardens. Honor or memorialize loved ones and pets with with an engraved pavestone or a dog run or cat condo sponsorship. 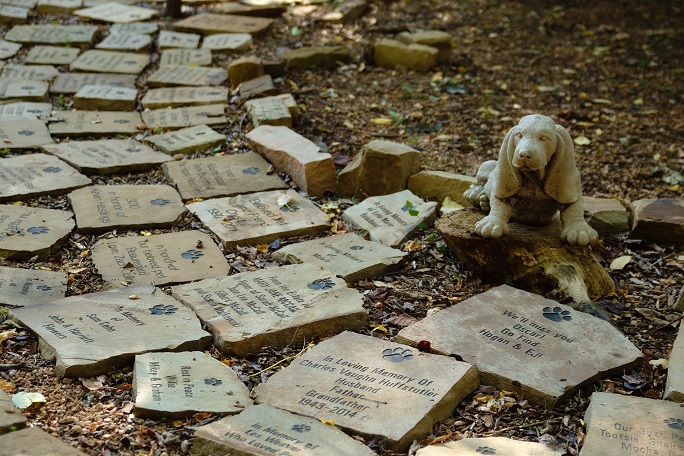 Pavestones with your custom message will be displayed in the beautiful gardens and walking paths at Operation Kindness. A plaque will be displayed on the Dog Run and or Cat Condo for sponsorships. If you wish to make a honorarium or memorial donation that is different than the amounts listed below, you can send an ecard by clicking here. You will receive an email to confirm the message to be engraved on the plaque (for a dog run or a cat condo) or pavestone, usually within 2 weeks. Pavestones and plaques will be ordered only after we have your confirmation. A picture of the pavestone or plaque will be sent to the recipient of your choice when it is completed and delivered to Operation Kindness. If you wish for your gift recipient to be notified sooner, you must send an e-card on the form below. You will receive an automatic email confirmation of your purchase at the time of transaction. You will receive an email to review and confirm the spelling, wording, punctuation, and placement of the words in your message to be engraved. Pavestones and plaques will be ordered only after we have your confirmation. Fill out the fields below to have an e-card e-mailed to your gift recipient to notify them that a pavestone has been purchased in their honor. We recommend sending a copy of the e-card to your email address, as well as your recipient. (You'll be able to print out a copy of the card or forward a copy to your recipient if their card gets marked as spam.) Separate multiple addresses with a comma or a new line. Yes, I want to receive email updates on the animals.